Anatomy of an amoeba: why not? I like it. Well I made it this far, and I might not have expected to last four years of blogging but I did last, and I’m very glad. Here is my customary retrospective with some “new” images. I’m glad to see that you’re still here, too: over 3200 blog subscribers (roughly doubled since 2014?) and some regular commenters remain– thank you! Like an undead horror, this blog keeps lurching forward, and it appreciates loyalty. Stomach-Churning Rating: 5/10- there’s a bit of blood and stuff. Nothing that unusual. If you’re like Rick (above; by /u/epicolllie), that won’t phase you by now. The past year on the #JohnsFreezer blog felt quiet to me, and that’s largely because I was distracted by numerous things; if you know me (or follow my whining on Twitter), you probably can guess. But there were enough highlights to keep me feeling satisfied. 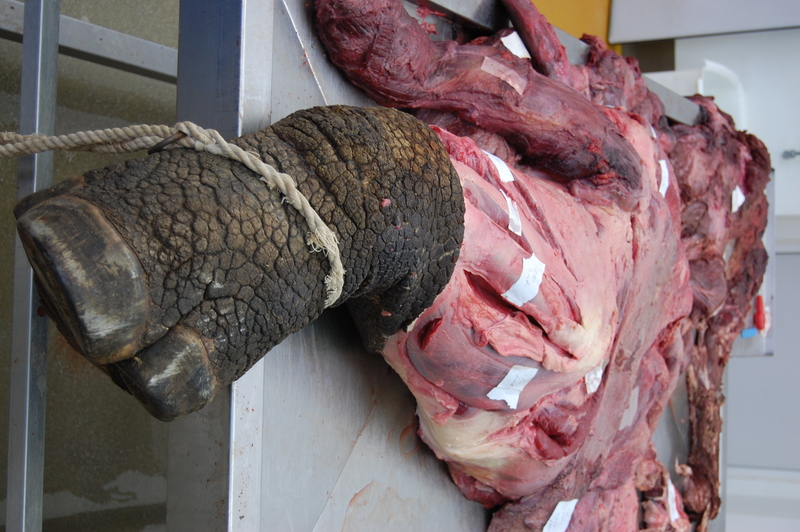 Judging from your reactions, you liked my inside scoop on the T. rex Autopsy documentary that I consulted on, and a distant second place post was, hmm, that’s kinda surprising: my elephant foot dissection post. I’m rather pleased so many of you clicked on that one, actually. 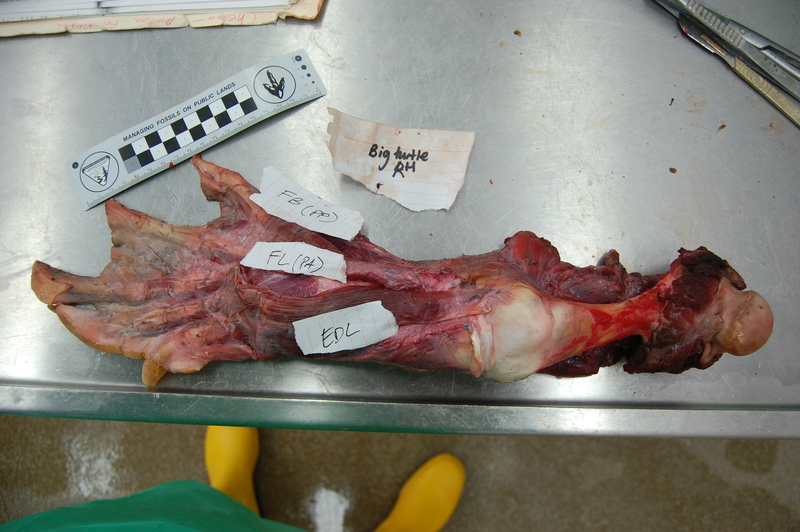 That’s a meat-and-potatoes post for this blog, much like my latest one on getting to know M. caudofemoralis (longus). But hey, check out the “Goat to be Seen” post if those are your kind of entries– it seems a lot of people missed that one, and it had a mix of quirkiness, unflinching raw anatomy, and art that still makes me smile. 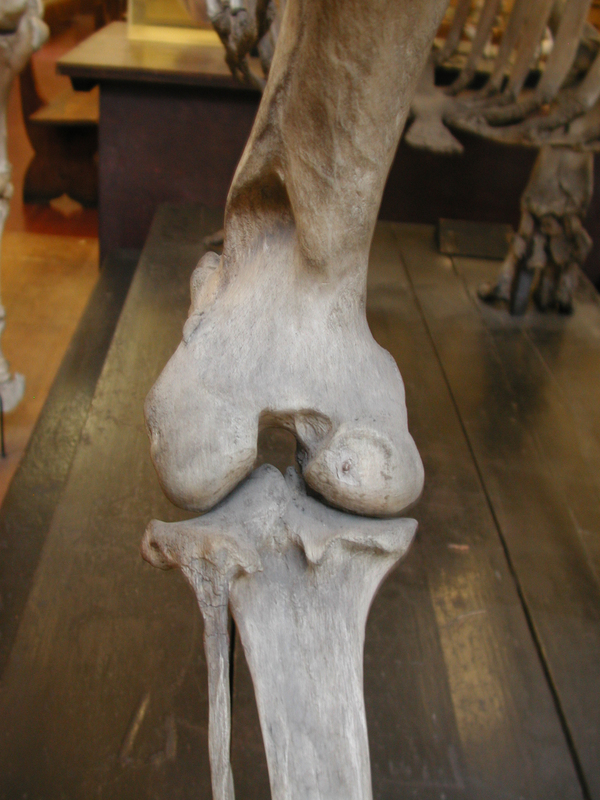 I was browsing my photos and ran across this NHMUK exhibit of a small ungulate hooved limb vs. a nice honking big padded elephant foot (both abstracted down to their fundamentals). It elegantly gets across the biomechanical differences between these limb structures. Bravo! My rants about how sometimes it’s helpful for scientists to put the brakes on media coverage of their own research, and on “HONCOs” (honorary co-authors), also brought in the punters, as did the re-post about the not-so-bad aspects of self-promotion in science. Not so many people appeared to read the post about where ideas come from in science but it got a lot of tweets, which is a strange incongruity, yet my thoughts on how to manage a research team didn’t do any better (but if you read in between the lines, there’s a poignancy to that post). Anyway: good ole rants; ahh, it still feels good to have those off my chest, even after all these months. And writing them helps me sort out my own thoughts, if nothing else. 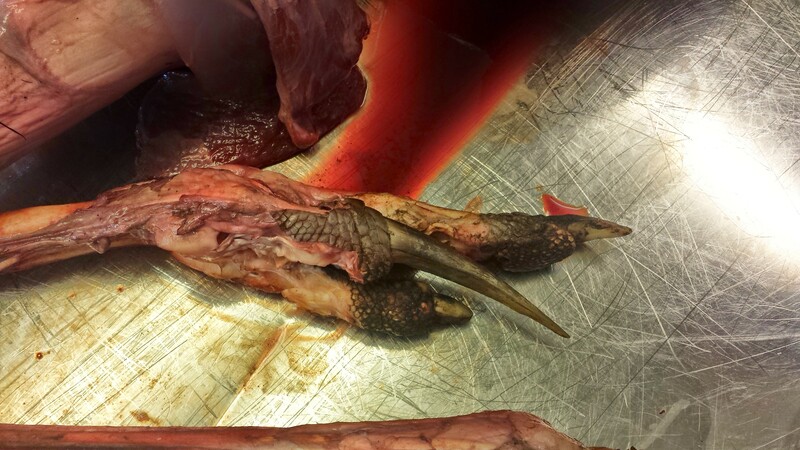 Hindlimb of a sea turtle that we dissected in 2015 after it came in for a clinical postmortem. One of my greatest science heroes, “Neill” Alexander, got his due here, and there continue to be comments trickling in on that post from people who are reminiscing about his influence on their careers. That is definitely one of the posts on this blog that I feel best about, even after four years. It meant a lot to me, much as Neill has meant a lot to others. I also did an homage to museums, which in parallel (oddly, but enjoyably for me) became an(other) homage to avian kneecaps. I like them too, and museums of course, but they’re awesome in a very different way from Neill. Team Cat is still cranking on our biomechanical and anatomical studies of felids- expect a lot of new stuff from us in 2016! 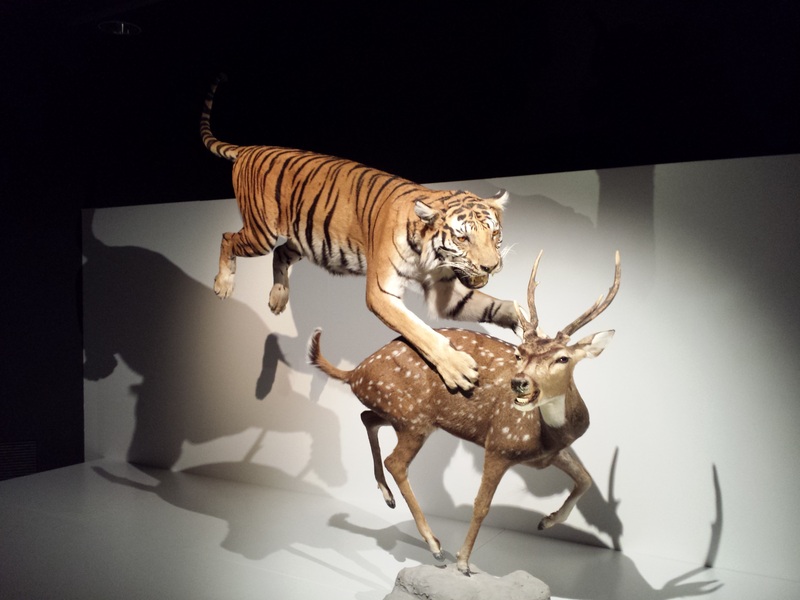 Meanwhile, enjoy this spectacular taxidermy– and check out Dr. Andrew Cuff’s blog with the latest science and stories. I learned a lot about my genome in this fourth year of blogging, and I delved into that with you, as part of my commitment to share what I learn about myself by poking around in my biology. 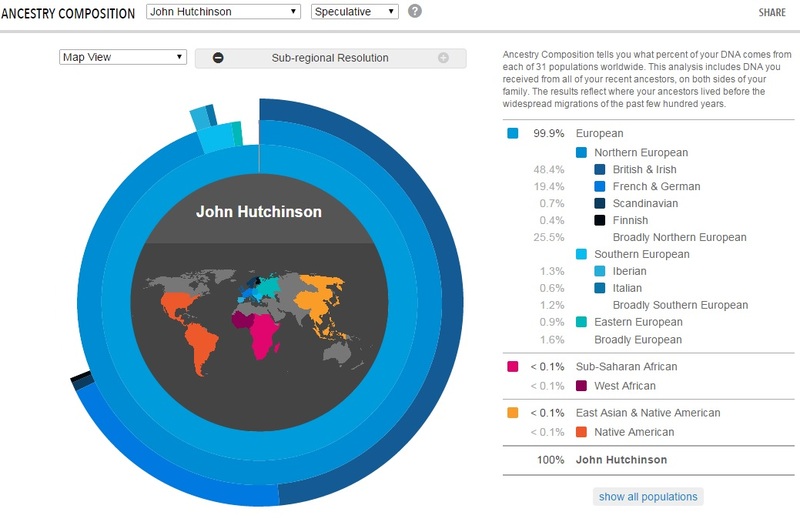 Oh, and I just learned that the image depicting my genomic ancestry was this blog’s most-clicked image this year– that’s cool, and unexpected! The past year was a big year for dinosaurs on this blog, with a post on the “Giant Dinosaurs of London” and another related to my cameo in the giant titanosaur documentary with Attenborough, but with a focus on dissecting dinosaurs, and a blatant bandwagon tribute to/musing on Jurassic World. 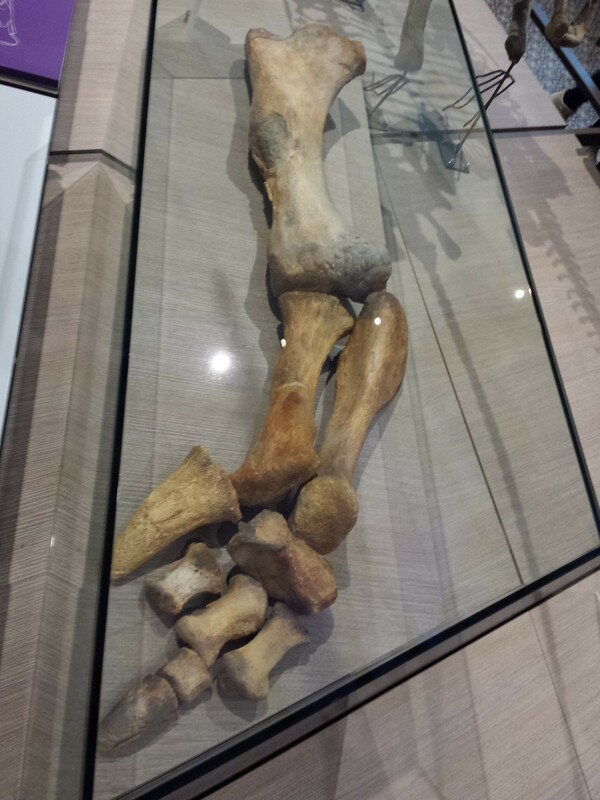 The very, very strange iguanodontian dinosaur Lurdusaurus (forelimb; note the big spiky thumb claw), which I was pleased to see at the natural history museum in Brussels, Belgium in 2015. 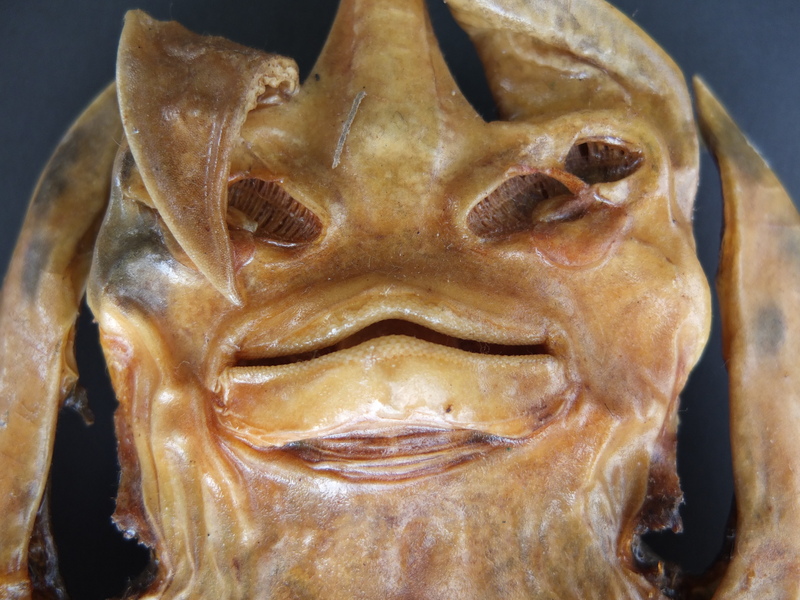 And finally, this blog had a baby, or a sister, or whatever, this year, and that has been a blast: Anatomy to You was born, thanks to Dr. Lauren Sumner-Rooney’s expert care and dedication to science communication. 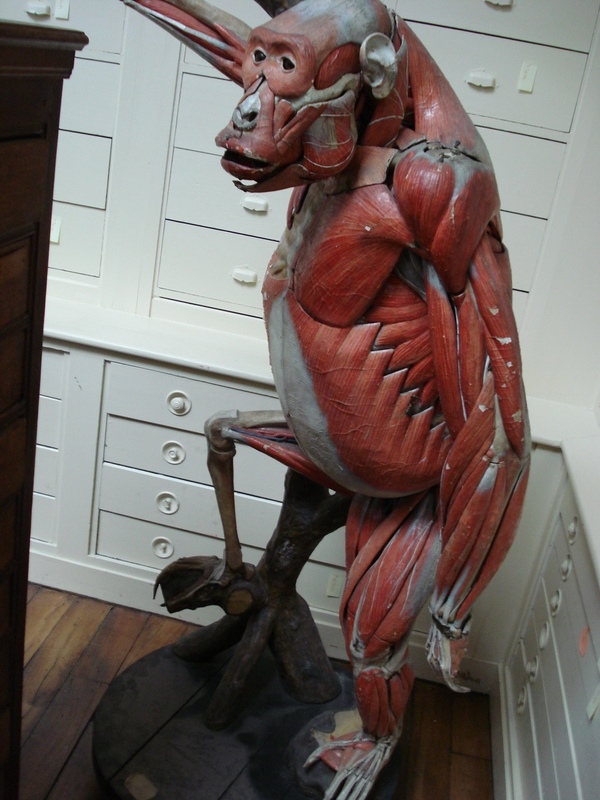 If you haven’t checked it out, now’s a good time, or offer to do a guest post for our “In Focus” section if you’ve got some anatomical science to share! 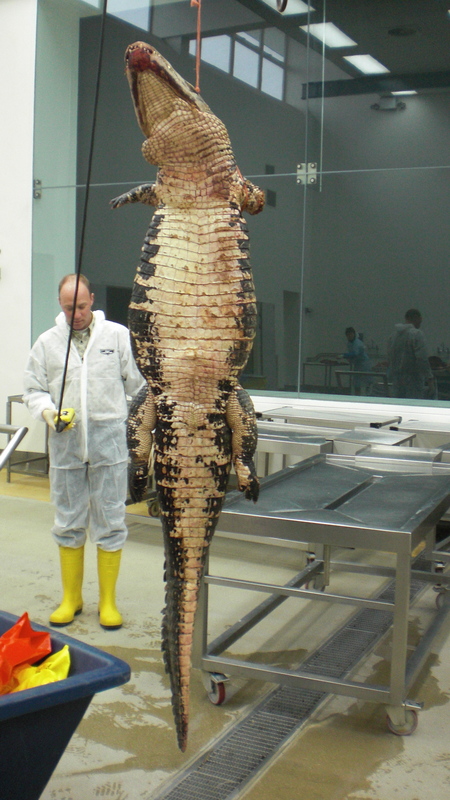 Speaking of guest posts, Julia Molnar did a fabulous one about our paper on crocodile backbones this year, here on this blog. 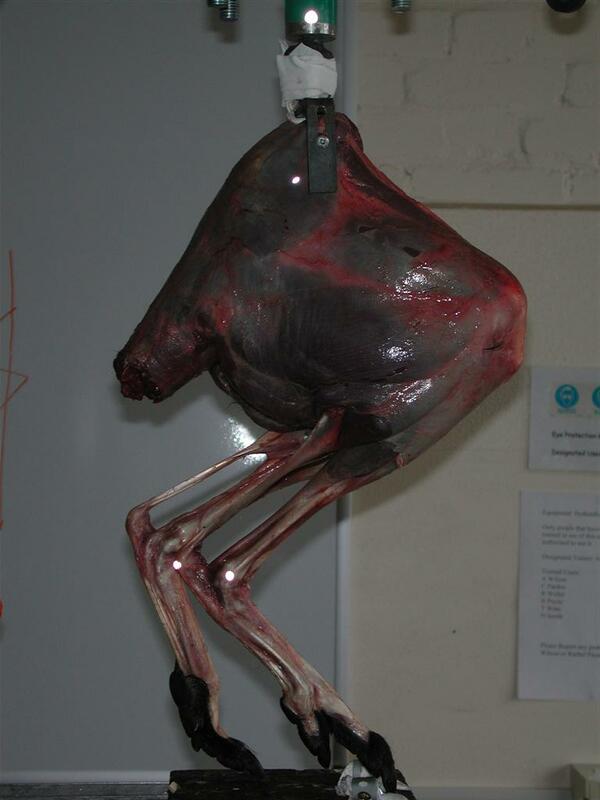 I’m still cleaning up specimens from the freezers: here, some “emu butts” (tails) from a collaboration with Michael Pittman and Heinrich Mallison, and PhD student Luis Lama’s past work. Something about these vertebrae fascinates me. I didn’t deliver on some plans for this year, such as a komodo dragon anatomy post, but I did finally do the “better know a muscle” and “dissecting dinosaurs” posts I planned, and a few other things, so the year worked out well enough. For about 3 years now I’ve used the #WIJF (i.e. acronym for What’s In John’s Freezer) hashtag to organize my social media efforts on this blog. Over that time I became aware that “wijf” in Dutch can be taken as a derogatory term for women. And indeed, these days I do see people tweeting derogatory things with the #wijf hashtag, along with other, tamer uses like mine. I’ve come to the decision, albeit gradually and with much internal debate, to stop using that hashtag so I can avoid association with the sexist Dutch word. This post is about why, and what’s next. Stomach-Churning Rating: Debatable, but 0/10 by the standard of the usual gory things on this blog; no images. I don’t speak Dutch, but 25 million or so people do. 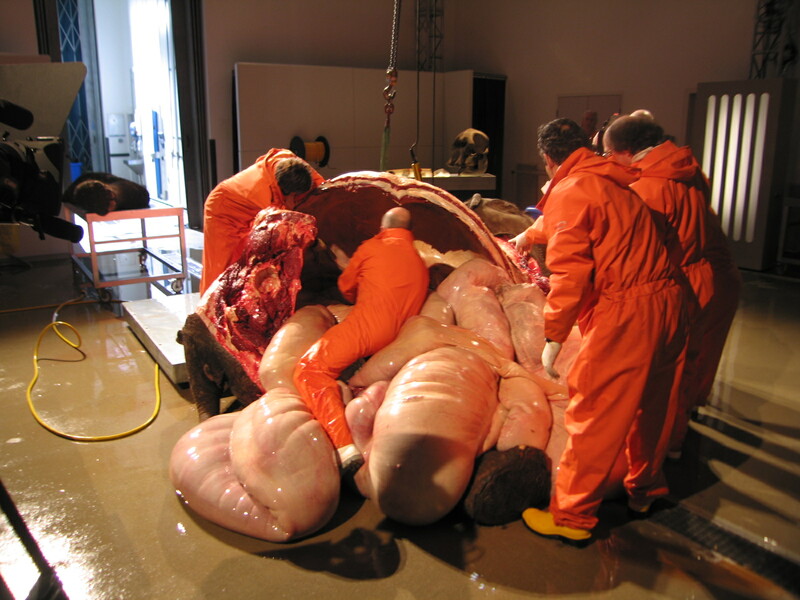 This is a blog about morphological science, and the Dutch have had (and continue to have) a disproportionately strong influence on that field. I’m not claiming to be perfect when it comes to feminist issues, but I listen and I try and I care. My undergraduate tutelage in science was almost exclusively driven by female scientists– I never thought about that before but it’s true; at least 5 different major faculty influences at the University of Wisconsin! I work at a university where ~85% of the students are female (common today in vet schools). My research team has featured 9 out of 16 female postgraduate staff and students since 2004, and a lot of my collaborators and friends are scientists or science afficionados who happen to be female. I have good reason to care, and social media has helped to raise my awareness of important matters within and outside of science that I do care a lot about. So, while I tend to hate to abandon words (or hashtags), preferring to fight for alternative meanings (e.g. the word “design” in evolutionary biology), and I am a stubborn git, the #WIJF hashtag and acronym are different, I’ve decided, and it’s time to use something else. Admittedly, #WIJF hasn’t been that important to this blog as hashtag or acronym– mainly just I use it, and any “brand name recognition” or other things surely arise more from the full name of the blog. So abandoning #WIJF is an inconvenience but not devastating to my blog. I see this move as (1) taking control of a situation where the benefits of staying with the hashtag/acronym are minimal and the harms, while of debatable magnitude, outweigh those minimal benefits in my view, and (2) demonstrating that I don’t tolerate or want to be associated with sexism or other discrimination. And I hope that this move might inspire others to reflect similarly on their own behaviour. Morphology, like any science, is for everyone, and this blog is meant to be a friendly place. But a thing that has held me back, even though it is admittedly trivial in the grand scheme of things, is what hashtag/acronym to use henceforth? I turn that over to you, Freezerinos. I have no good ideas and so I am crowdsourcing. I need something short (not #Whatsinjohnsfreezer, probably– too long), something associated with the title of the blog, but also something dissimilar to the naughty word “wijf” and thus inoffensive… ideally inoffensive in the ~7000 languages of the world (!?!?). That might not leave many options! What should be in John’s blog’s hashtag? Happy Third Blogoversary, WIJF blog! I am thick in some paper-writing, so I can’t write my usual detailed summary of the past year. Or so I thought, then I started writing and finished it, so here it is! I didn’t feel I needed to post this, but I like retrospectives and writing this helps me recall what happened here and gives me new ideas for the future (or things to avoid!). I continue to enjoy blogging here and you’re still here too, so that’s enough for me, regardless. Indeed, this year saw an odd leap in blog subscribers, from about 200ish to now >1500 since around August 2014; an astonishing sevenfold increase in about as many months! I did not see that coming. I’d love it if some of the new folks could speak up in the Comments and say what brought them here (this WordPress recommendations link? BBC Dinosaur story link?). Otherwise, Twitter won the social media “war” again against Facebook for bringing people here. The top post of this past year was easily, and unsurprisingly, the evil takeover of the blog by my Sith nemesis. May she remain in her galaxy far, far away and not trouble us again. “Aren’t Adaptations Special?” (my ode to the 35th Spandrelversary) and “Co-Rex-Ions” (my chronicle of correcting a paper and reflecting on that experience) both did nicely, too, in terms of readers. 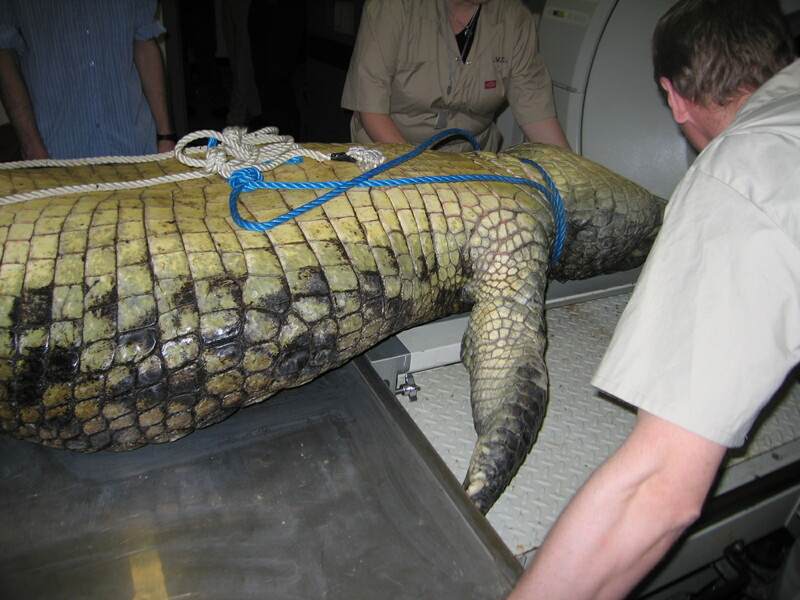 The latter post had parallel threads with others exploring my career and my role as a research manager/mentor, and pondering (with your input) research data “versus” conclusions as well as an awkward day earlier in my career involving crocodiles and karaoke. A recurrent theme that you may have noticed is that I am using the blog to explore my tolerance for humiliating myself (or at least self-effacement), and exploring why we humiliate others, which still fascinates me. It was also a deeply introspective year for me, for reasons made clear by this post, which links to other posts like it exploring my experiences jousting with mortality and its reverberations. It has been an… eventful year. Leading to many thoughts bouncing around my head like happy little blood clots. And then my crossover Conversation UK article was posted in full length here, “Anatomy: Dynamic, Not Defunct“, which was for me a highlight of the year on this blog (and my sci-comm efforts). I followed up on this big-picture anatomy motif in related posts on “In the Name of Morphology” and an ode (it was a year of many odes!) 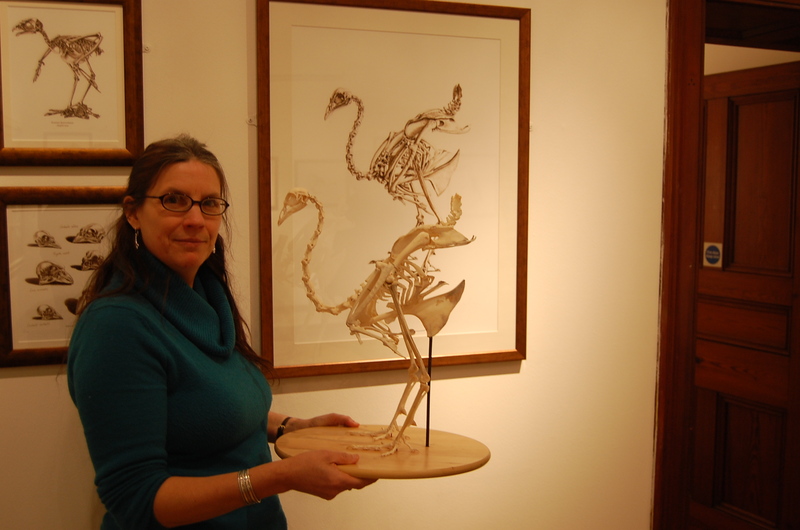 to anatomist Richard Owen. 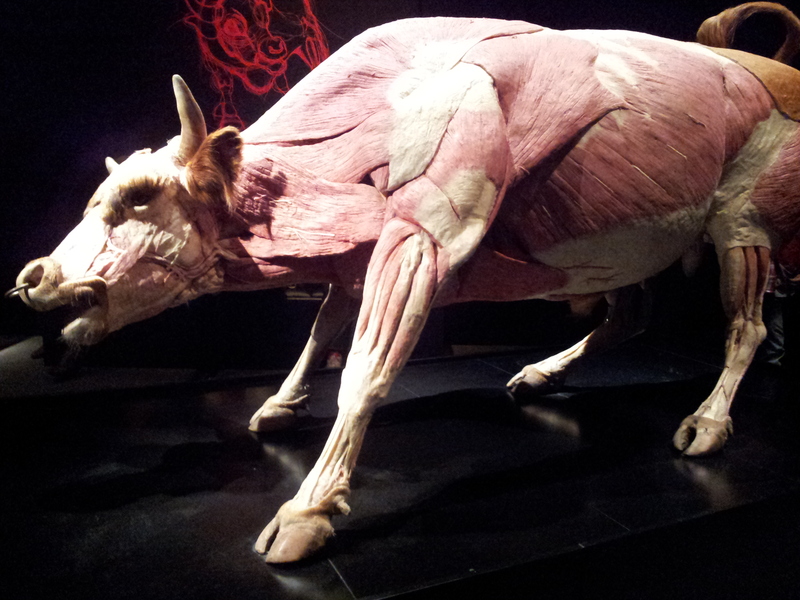 My two-post stroll through the British Museum also got me writing about how animal anatomy plays a physical or at least visual role in human art and culture; that was fun for me. 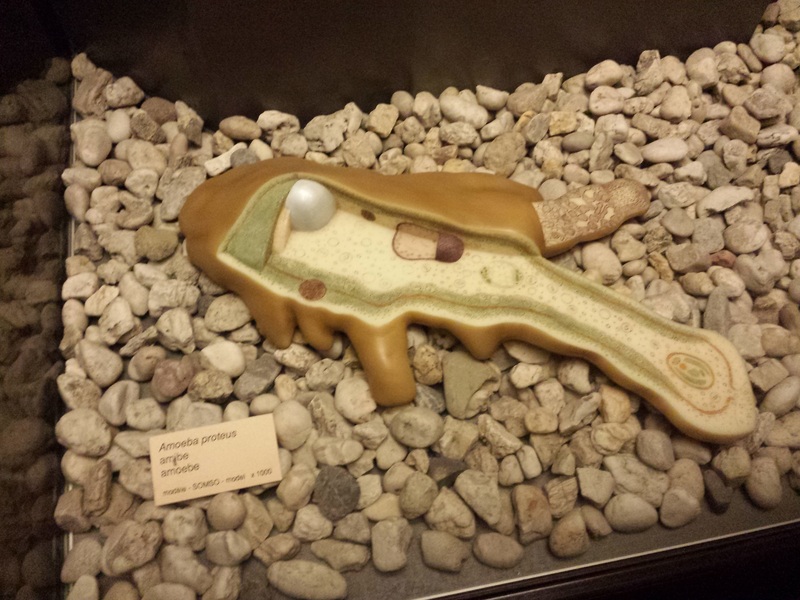 Likewise, I did another anatomically-focused museum exhibit review for the NHM’s mammoth exhibit, and yet another on my visit to another “home of anatomy” in Jena, Germany‘s equivalent of the NHM. That post’s ontogeny-phylogeny theme, echoed in my Owen post, also tied into a long-form version of a Nature News & Views article I wrote but also posted here, on “plastic fishapods.” Expect more evo-devo from me in the future; it has become part of my research programme to tie together form, function, development and evolution in my team’s work. 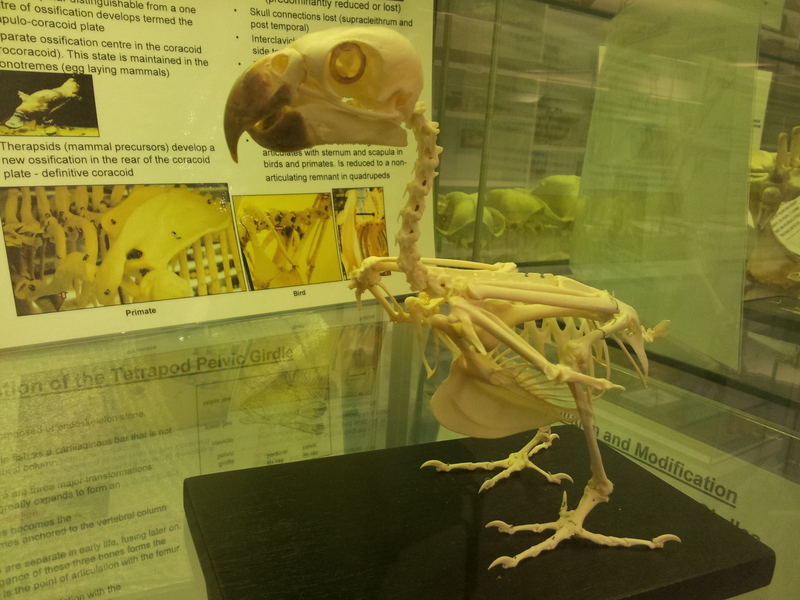 In other, more random anatomy-based posts, there was an early one on cat dissections, another on the lives and deaths of penguins (there will be more on this topic soon! 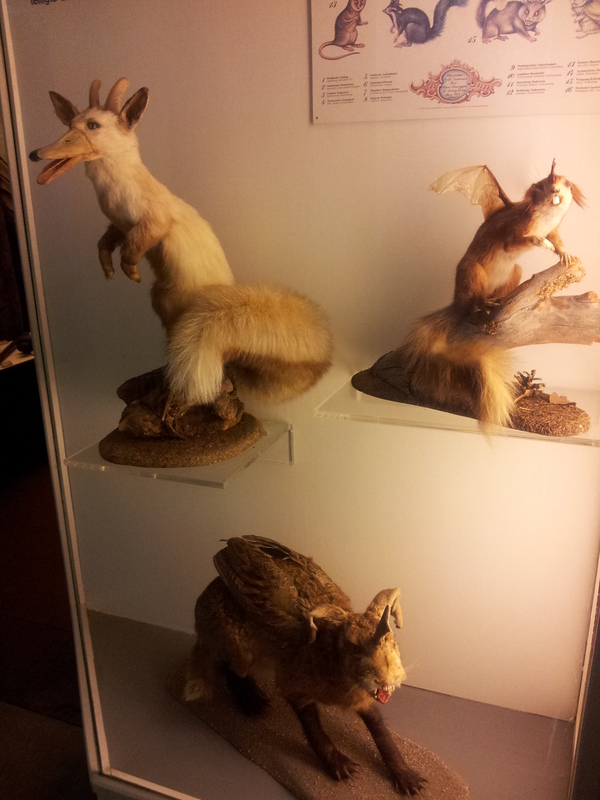 ), and the most recent post on mammalian tails. 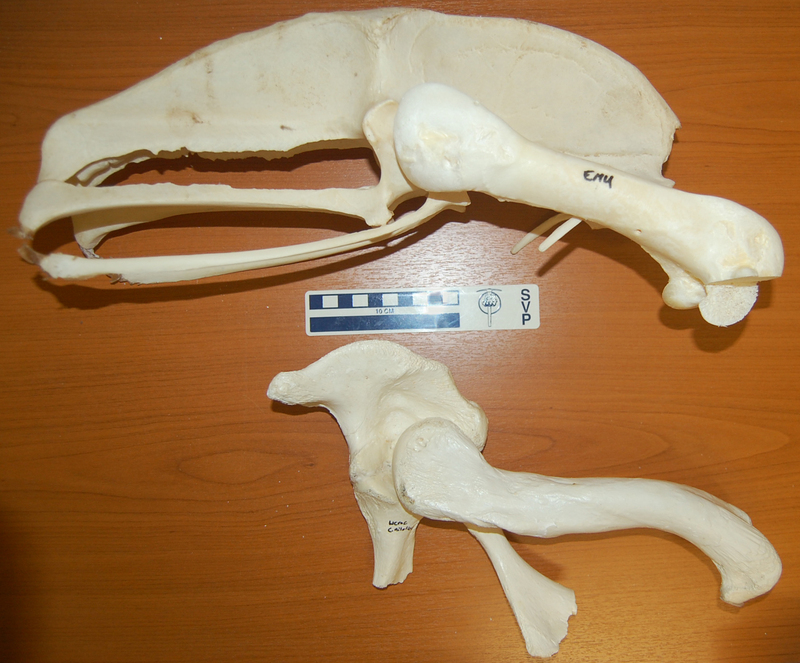 Finally in 2014, as one of the highlights of my career lately, we published 3 papers about bird legs/knees on one day, in the open access journal PeerJ, right before Crimbo. I’m proud of the work my team put into those papers. 2015 looks to be at least as productive and fun! This blog still has legs! Keep wearing layers of clothing. I’ve got plenty more freezerness in store on this blog; freezerburnout has been avoided. Expect posts on dissecting dinosaurs, that promised komodo dragon post, more cats and penguins and then definitely more bird (and lizard, and mammal!) knees, and something special about genomes. I also have some changes in mind for the blog, with a new flavour of regular, short posts. I’ll save the explanation for later. What are your memories of the past year in my freezers? What’s in Year 2 of What’s in John’s Freezer? Hey I almost forgot, it’s the blog’s second anniversary! What the hell happened this year? 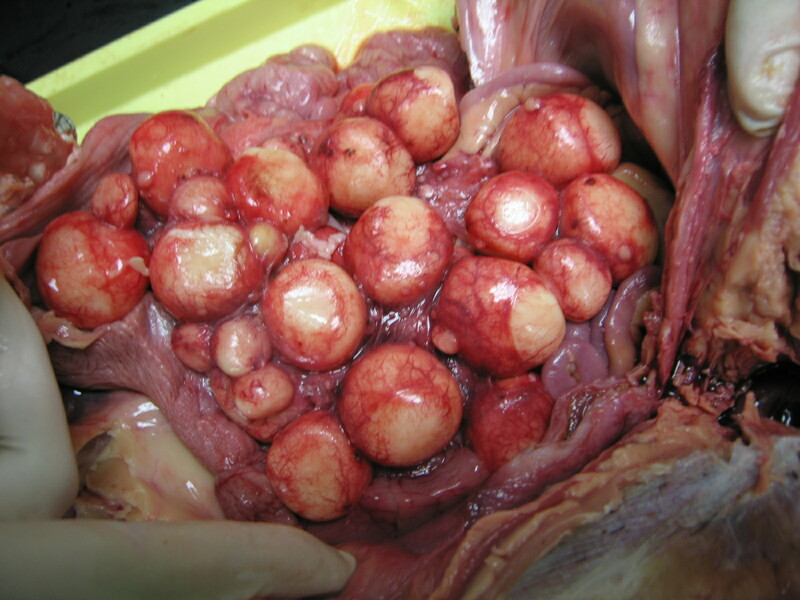 Stomach-Churning Rating: there’s an 8/10 photo of ostrich guts here; otherwise 2/10ish. I bring you tidings from the past and future! This was the Year of the Rant, and I enjoyed ranting to you on this blog. Sometimes you ranted with me, and that was even better. It kicked off with that cat documentary that spurned me in a feline dismissive fashion, then I lit off on documentaries in general and how they should give more back to scientists (what a discussion in the comments!!!!). Ooooh that felt good. And helped me sort out my thoughts about the topic. And after then, I got paid more often and still did a lot of documentaries– if you haven’t been watching Secrets of Bones on BBC4, you should be weeping bitter, bitter dregs (and be scrambling to get access). Catch me tomorrow (Tues) night with some of our emus! They paid me reasonably and in return I worked hard for them; before, during, and after filming, and I think we all felt good about it. Or I did anyway. The show is excellent, so I feel even better! 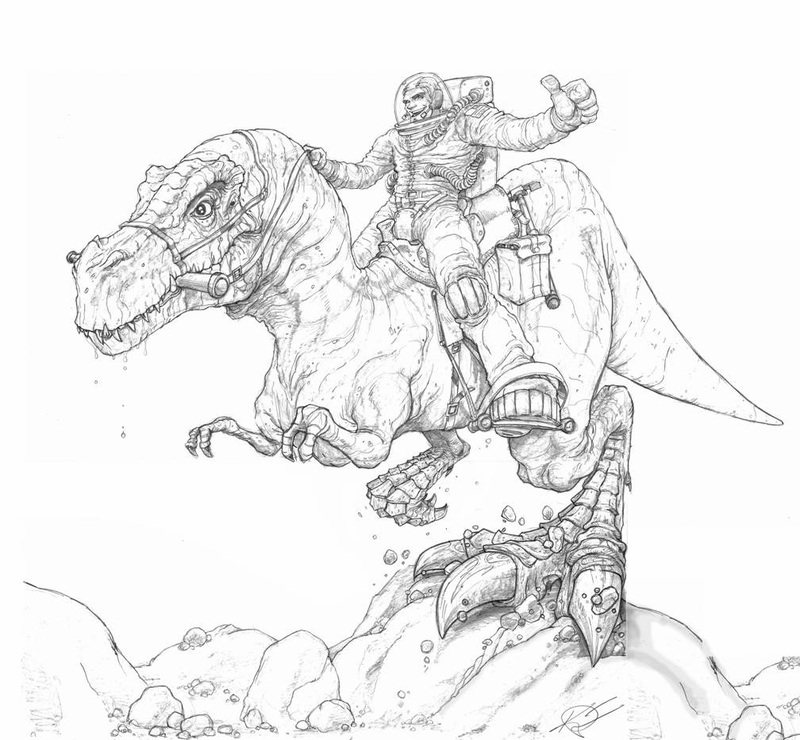 But no ranting palaeo-related blog would be complete without a good T. rex rant, and I did that this year. Took a big dump on the scavenger-predator non-troversy. That went over so well, Slate picked it up– I never had expected that to happen! I also appreciated how many colleagues joined in to condemn the senseless perpetuation of this dead issue by the media and a few scientists. There were also some posts on more introspective things, like the feeling of being lost that pervades both visiting a strange foreign city and doing science. And like how science needs both the qualities of a Mr Spock and a Captain Kirk. Those were fun experiments in combining a personal, internal experience with a broader message. 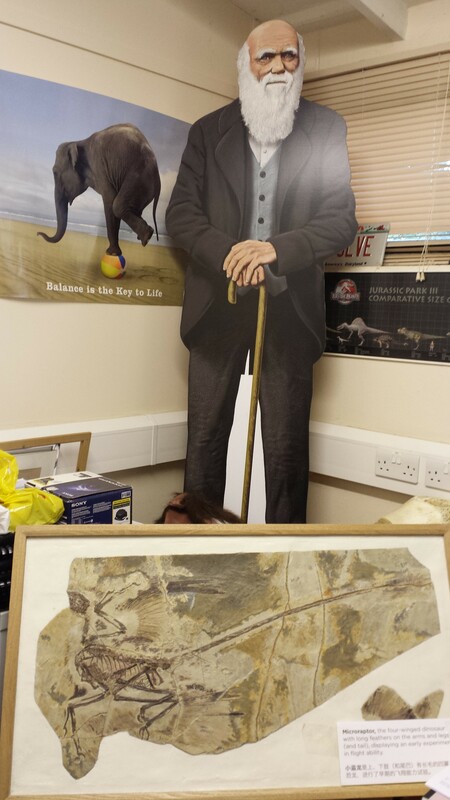 Darwin greets Chinese visitor Microraptor in my office. When I asked for suggestions last year, you wanted more coverage of other people’s stuff, and so I did that to a degree, reviewing the All Yesterdays and Unfeathered Bird books. And then I fell off that wagon, which I may come back to. But along the way I realized I don’t enjoy writing about papers that other people have already published because, generally, I then lack the personal experience of doing the science and showing it in progress, which is what this blog tends to be about and what excites me on a personal, visceral level. Once the paper is out, I feel like the cat is out of the bag and it’s not as fun to talk about unless it’s totally mind-blowingly (A) cool or (B) idiotic. Anyway, I might do a solicited post if someone gets me excited about a paper before it comes out, or who knows, I may change my mind. Entirely unfeathered Indian peafowl in matching views, with Unfeathered Bird’s author-illustrator. 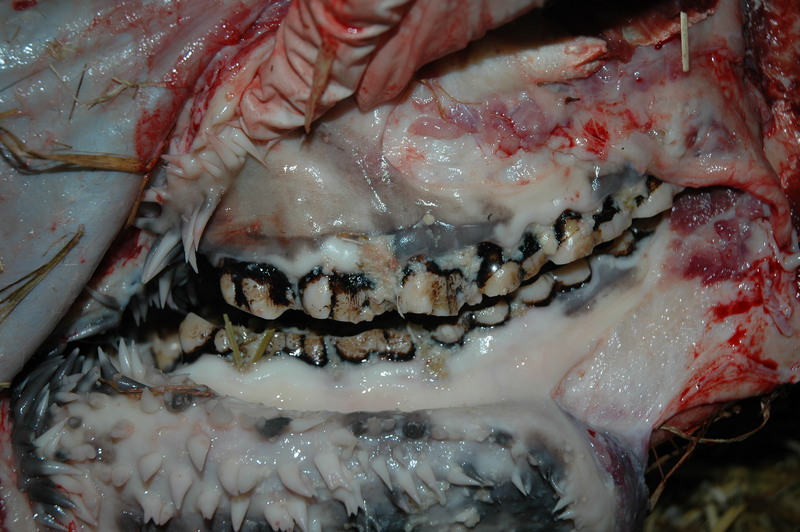 I also posted on a fabulous blog that more people need to hit, because you may be surprised just how fascinating it is- Veterinary Forensics. 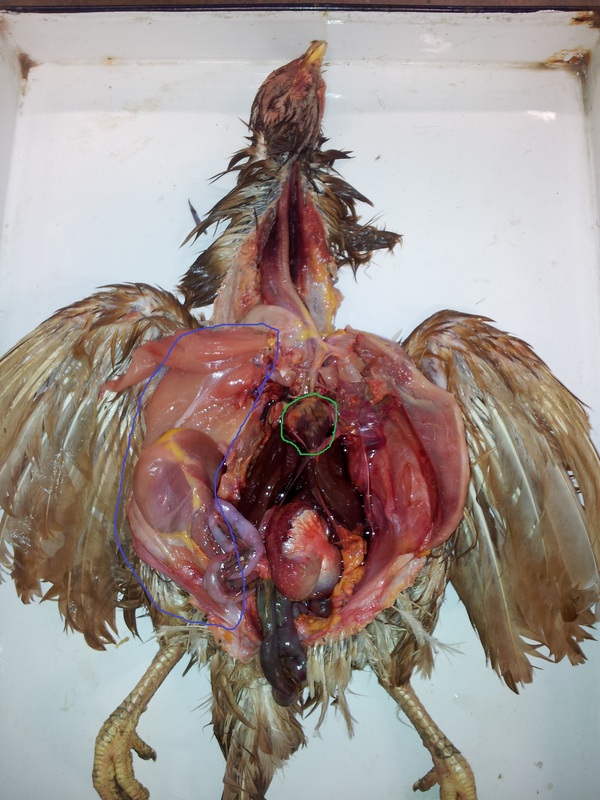 I get the feeling often, both on my blog and from scientific colleagues, that veterinary anatomy/pathology issues are seen as “lesser science” than basic, even descriptive anatomy. Somehow, insanely weird diseases or pathologies don’t excite people as much as insanely weird “normal” anatomies. I know there are exceptions to that generalization, but I think it’s a common (mis)perception people have, and part of it is likely because those fields (veterinary medicine and zoology, for example) are historically separate, and people tend to see anatomy and pathology as separate things- as opposed to points along a continuum. 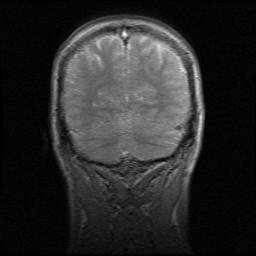 Since coming to the RVC, I have come from that kind of a misperception to one in which pathology enormously enriches my understanding of form, function and evolution. I also love the “applications of basic science to helping animals live better lives” angle. We should all be trying to do that as scientists, but from time to time I notice that it isn’t taken seriously (I even get reviewers’ comments bluntly stating that it’s none of our business as basic scientists, or for anatomy/experimental biology journals to mention!). Whoops better stop there or I’ll be writing a new ranty post! 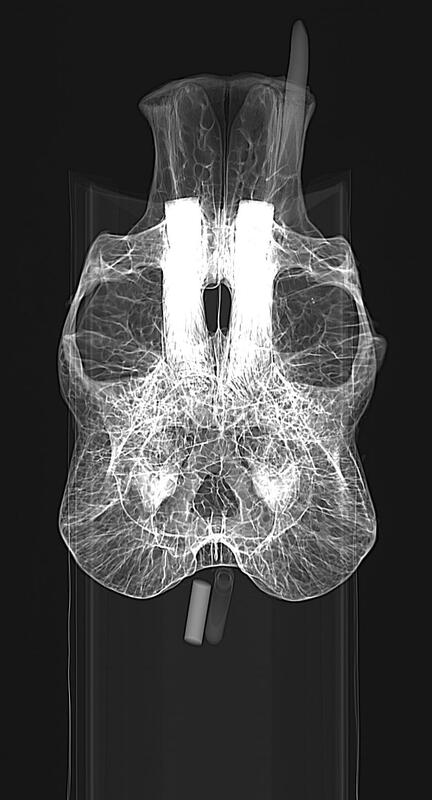 Can’t get enough of this x-ray GIF, so here it is again. Darwin Day got into some of the vet-y issues regarding feet, in a post on hooves and then another on pigs’ feet. 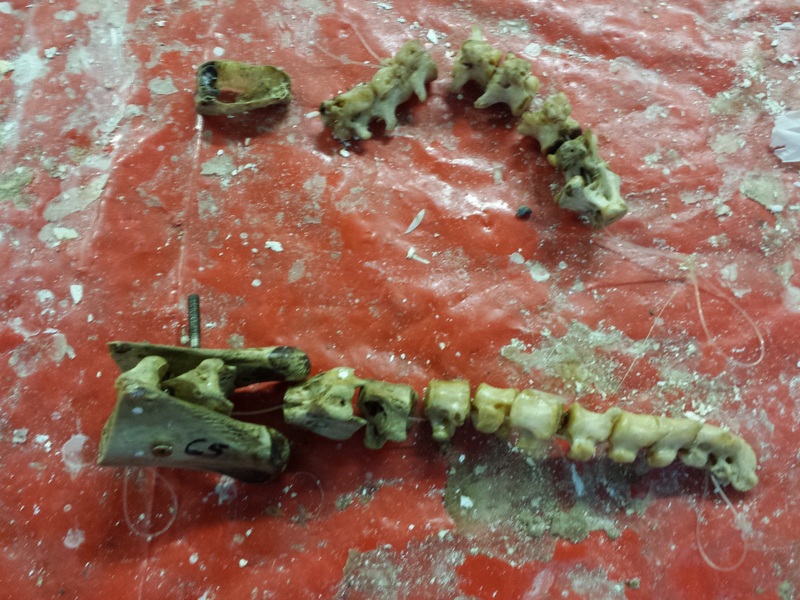 Toward the end of the year I got some guest posts going, by two main people from my team: Sophie Regnault on rhino feet, and Julia Molnar on crocodile spines. I liked those posts a lot, and so did you, it seems, so there will be more of those coming in year 3. Quite a few are planned already. One of my favourite papers I’ve ever done came out this year, by Vivian Allen et al. on dinosaur body shape/postural evolution, and that went nicely as a blog post with tons of extra context and stuff. Digital 3D dinos, what’s not to love? 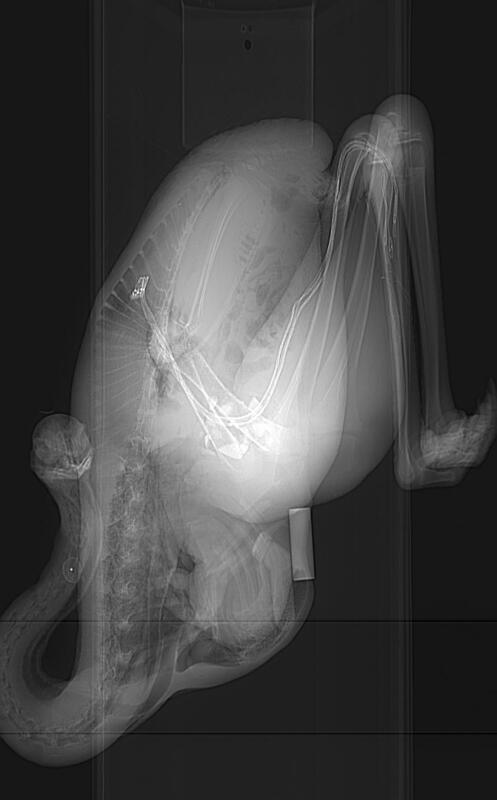 I was on sabbatical for much of the year, so I was posting a lot about patellae (kneecaps) and how fun they are to study, which led to posts about basal bird skeletons and more, like Darwin’s chickens and a joke about cake that only I seemed to find funny, and ending with a grand summary of avian kneecaps. I also reported on some new (post-sabbatical) research, still ongoing, with Dr. Stephanie Pierce and Dr. Maedeh Borhani at the RVC, on how salamanders walk. 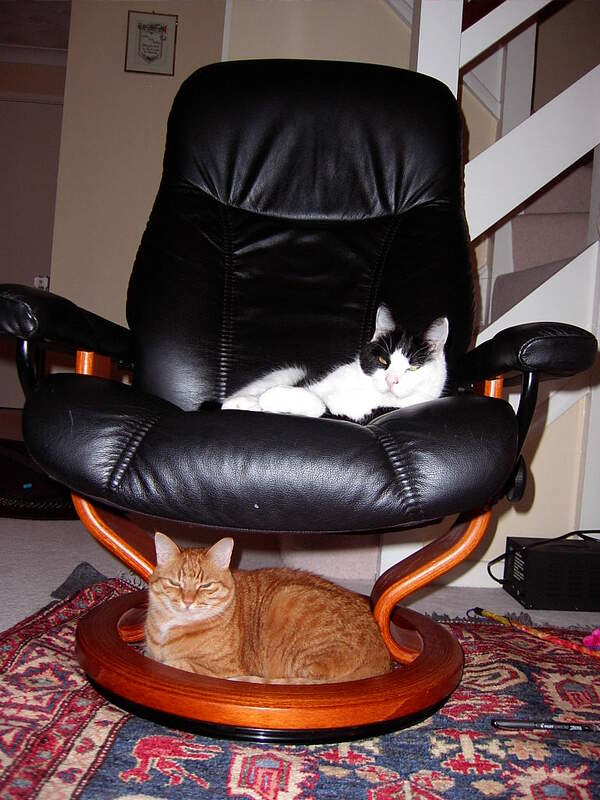 During Freezermas, I plugged our new comparative cat project. The mesenteries are so gorgeous!!!!!! Speaking of Freezermas: It happened, it was terrifying, and we’ve all grown from the experience of surviving it. 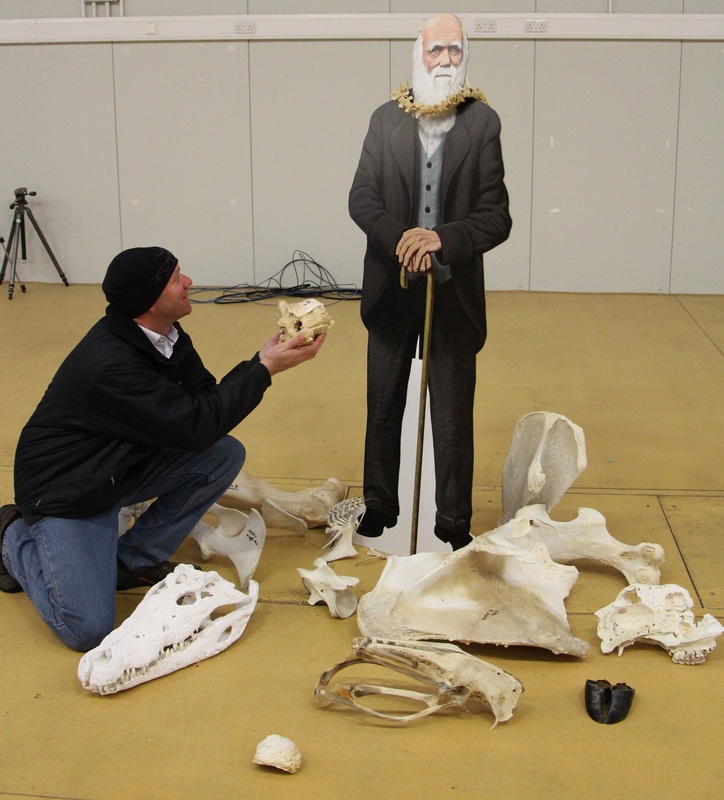 I had a blast dissecting that ostrich, and the x-ray pics were a hit with everyone, too! Then there was random “freezer love” and assorted posts to give insight into the daily life of a freezer manager, such as doing an inventory and reflections on childhood. 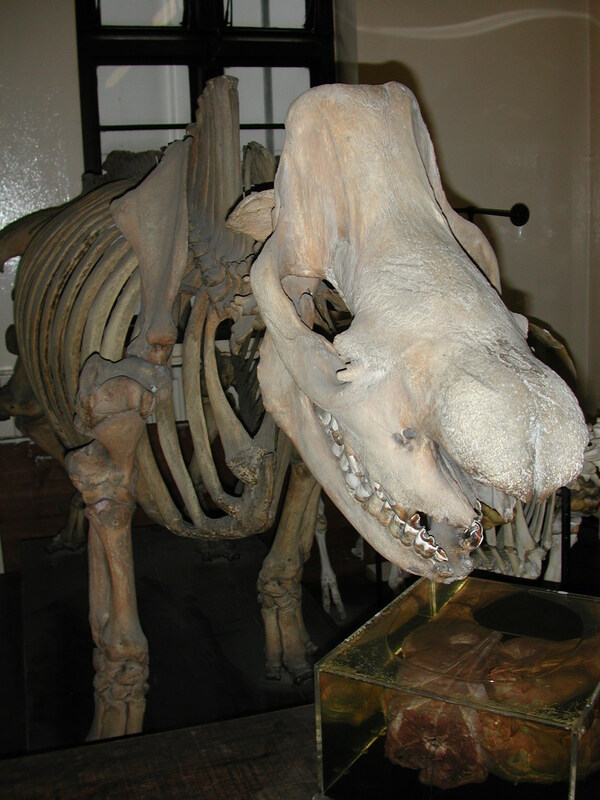 I snuck in a tour of Dublin museums and the amazing Crocodiles of the World near Oxford. I meant to do more of those “anatomy road trip posts” and still aim to. And we ended the year by ending the ongoing drama of the Mystery Anatomy competition, starting off a new year with a new scoreboard. We got more poetic and lyrical in 2013 with the answers to those mysteries, and that will continue (groans from those who are poetically challenged). Some brief numbers: view-wise the blog has been pretty close to last year; about 87,000 views in the past 12 months for a total of almost 200,000, wow! This year, Twitter just barely edged out Facebook for bringing people to the blog (3,134 vs 3,022 clicks) but then geenstijl.nl bizarrely brought 2,732! There was no big Reddit or other social media site moment this year, but various sites and links continued to bring in a steady flow of visitors to add to the Google-search-firehose’s. Thanks to folks who linked here!!! My two top rants were the top posts this year, and that’s no surprise given the comments and other attention they got. Thanks for helping by participating! Those were nice group-rants. Healthy and vigorous. Shockingly, a poetry round of mystery anatomy came in 3rd! People just liked the chickens + bones + poetry. Those, and some hits from year 1, broke the 1000-views marks. Americans came here in a 3:1 ratio to Brits, which means that Brits punched above their weight per capita (~5:1 ratio)! Canadians, you tried, too. Here, have some back bacon of dubious provenance. 🙂 Saint Kitts and Nevis with 670 views, wow! Very unexpected- you beat Italy and many others! 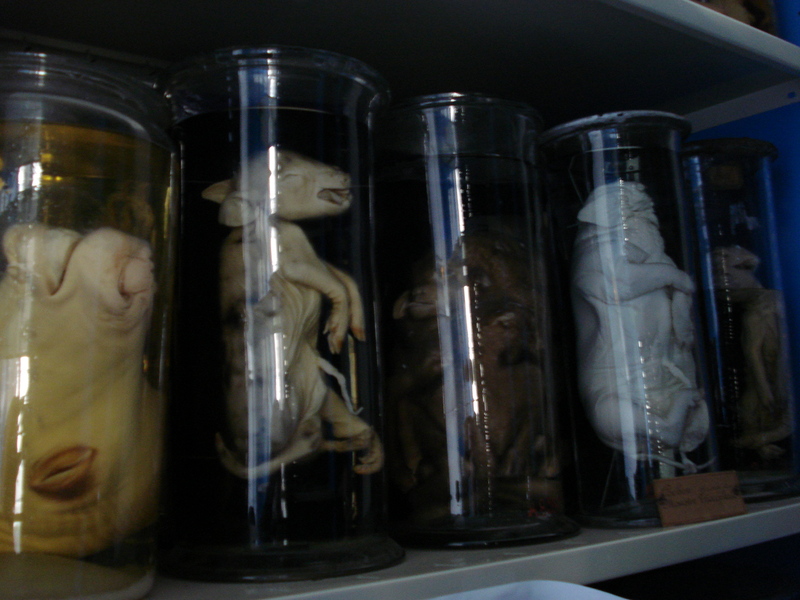 Most importantly, the blog has been about sharing my passion for anatomy (as preserved via freezers). I shared a conference talk about this subject here, using the blog as a prime example, to a warm reception. I want to try experimenting in new ways to use the blog to share things this year. I think you will like what I (we!) have lined up. Thanks for showing up and staying with me! I’ve been either super busy or on holiday and low on creative energy, so although I have five or so blog posts frozen in my mind, I haven’t progressed them far enough yet. To whet your appetite, they include a review of the bird book AND exhibit “The Unfeathered Bird”, a summary of our recent PeerJ paper on croc lungs (Schachner, Hutchinson and Farmer; see here and also here), a rant on optimality in biomechanics, and a summary of a new and (to us) very exciting dinosaur paper that is very-soon-to-come, and something else that I can’t remember right now but it probably is totally awesome. But here’s an interlude to keep you stocked on freezer-related imagery. 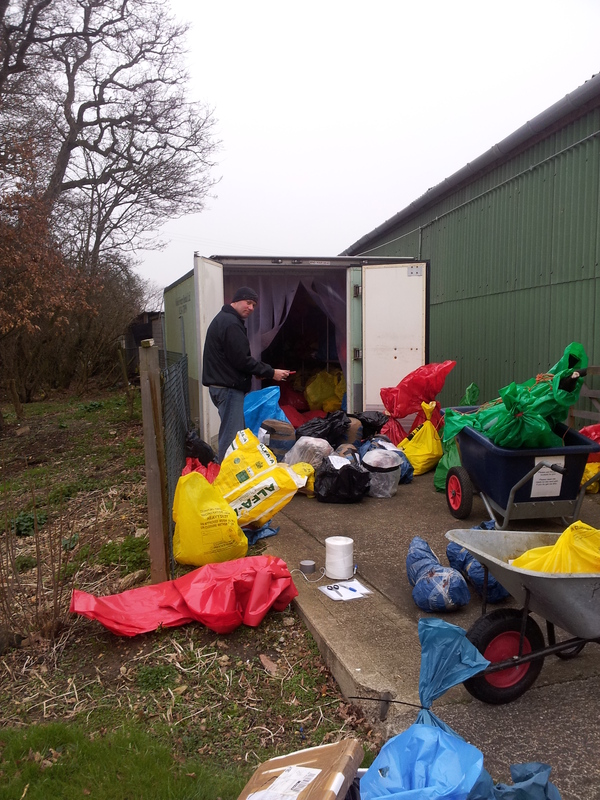 We did an annual inventory and massive cleanup (and clean-out!) 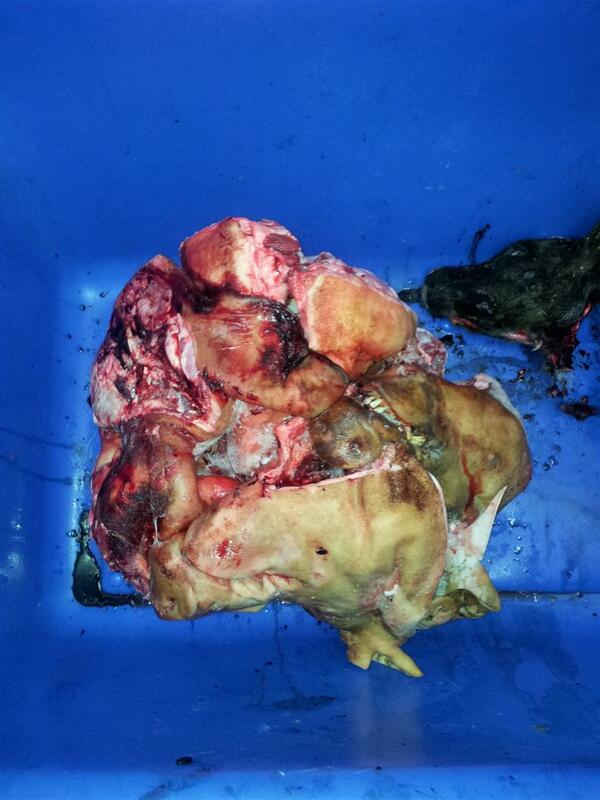 of all our freezers, throwing out some 300ish chickens and other odds and ends, and finally loading all cadaveric material I have into a single database, which I’ll share here shortly! It was a long time coming, and took ~6 people about 4 exhausting hours; last year’s attempt was just a holding maneuver by comparison. Here is how it went. 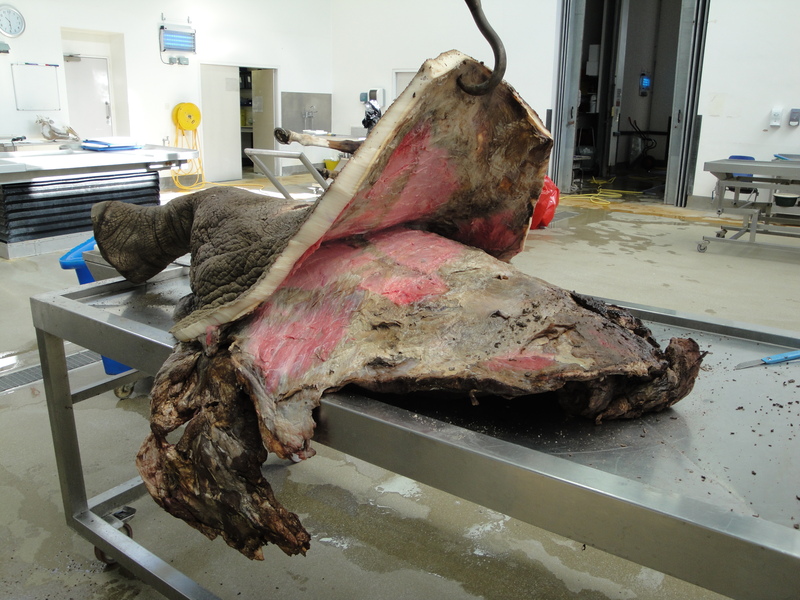 Freezersaurus gut contents being sorted. A cold drizzle was falling. It was not pleasant work. 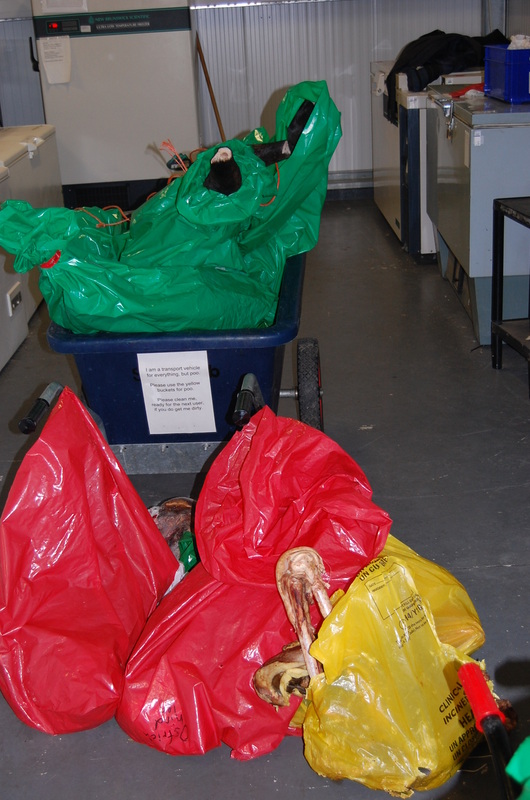 Large specimens, especially horse legs and the remnants of an ostrich hind end or two, being moved into the walk-in freezer. 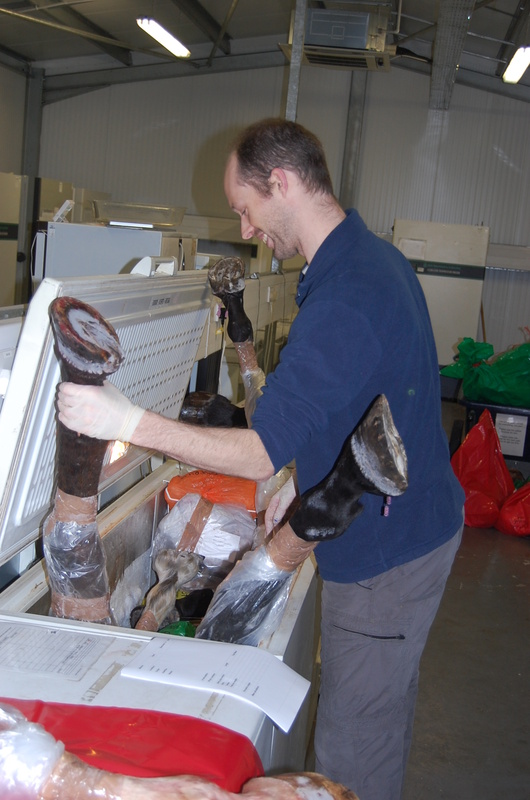 Research Fellow Jeff Rankin wrangles some horse legs into their freezer. I like this photo for his knowing smile as he stands amidst horse limbs spread akimbo. 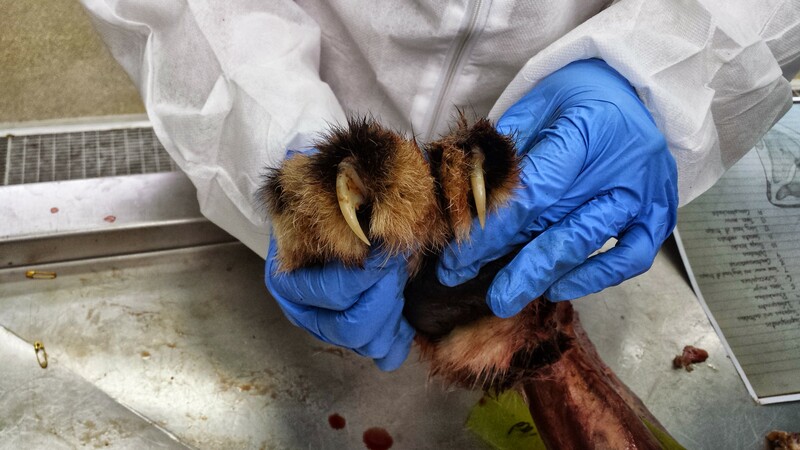 Postdoc Heather Paxton helps sort out elephant foot tendons and “predigits” in their freezer. Nice view of our long line of chest freezers in action, too. 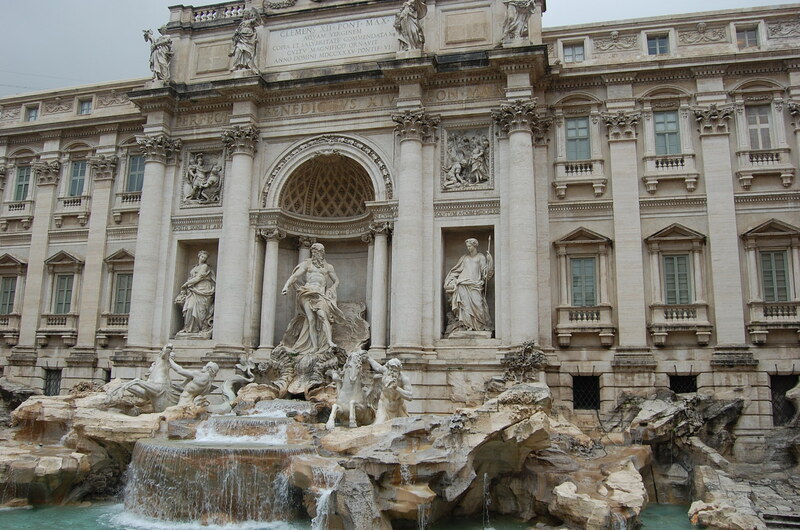 And, as an extra reward if you made it to the end, here’s what I was doing for the past week (check out my Twitter feed for more)– seeing amazing art and architecture and food and stuff in Rome, which is just dripping with wicked anatomical portrayals (e.g. in this image; click to embiggen and oggle the classical physiques). What’s It Like Spending a Year in John’s Freezer? Chilly 1st Birthday to You, WIJF Blog! It has indeed been a year of blogging now! And it has been a very fun year at that. Here is my look back at past events on this blog. Stomach-Churning Rating: 8/10- some heavy-hitters in here, but to regular Freezerinos they will mostly be familiar. 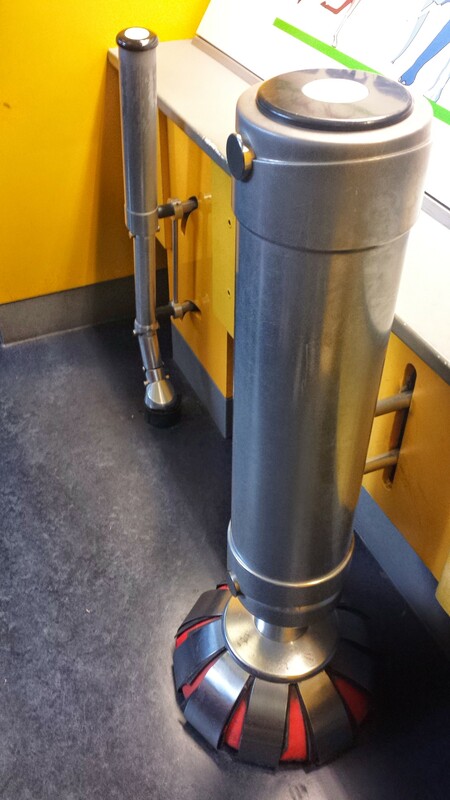 This blog’s first image and subject: giraffe legs and modelling. First, the usual consideration of statistics: wow! I never expected the blog to be this successful! I’d sort of hoped as much, but for such a niche blog it was far from guaranteed in my mind. However, the initial response was overwhelming: 4210 hits in its first month, many of them on the first day! Since then, although the usual number of blog views are around 100-200/day, there are now 76 blog followers, and a total of ~111,000 views! According to ImpactStory and Topsy, the blog has had 48 tweets (7 of them “Influential”), 111 Facebook likes, 105 Facebook comments, and 53 Facebook shares. Nice! The biggest day was April 27, 2012: 10,564 views– ZOWIE! That was fun. More about that below. I’m amused that my very first post only has 85 views even to this date, but it didn’t really contain much. Visitors tended to come from browser searches (23,243 hits! 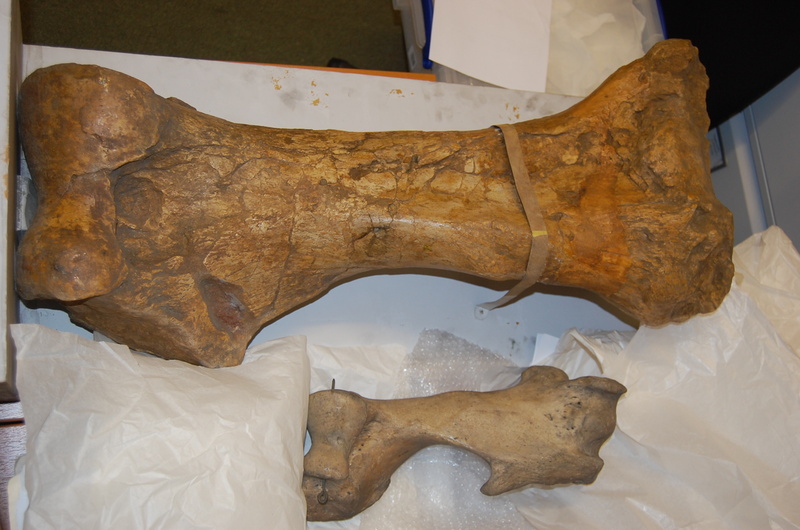 ), in particular hunting for images of the feet/limbs of elephants, rhinos, giraffes and other megafauna (looks like my intended purpose worked– vets and other anatomists want this rare information!). Oddly, from a few of my tweets that got listed on my blog, “deepstaria enigmatica” (remember that craze?) became one of the most common terms (214 to date!) that brings people here via the intertubez. 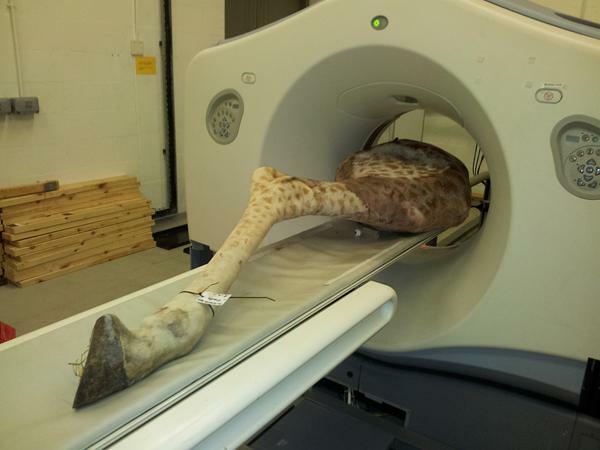 Giraffe anatomy and patella are also major sources of search strikes. Interesting! But don’t dismiss the power of Facebook (4,399 oggles on WIJF total) versus the somewhat surprisingly smaller impact of Twitter (2,036 pings). I say surprising because I push the blog much harder on Twitter than anywhere else, but Facebook pages like Perez’s Veterinary Anatomy (>33,000 members/likes!) have done far more than my mere ~1,300 Twitter followers can. Other blogs like the Chinleana palaeo blog (1,008 palaeo-hits here) and the ubiquitous Pharyngula (791 athe-hits) have helped a lot, too– thanks to all those bloggers and science writers who have linked to my humble little blog!!! Who are YOU? You mostly come from the USA and UK, of course, but Japan is 3rd on my visitors ranking, followed by Canada, Germany, Australia and the Netherlands. Russia: we want more of you, too. Monaco, Nauru, Tuvalu and Liechtenstein- you as well, please! North Korea, keep trying. So this is all great; really great. I’m rather amazed. 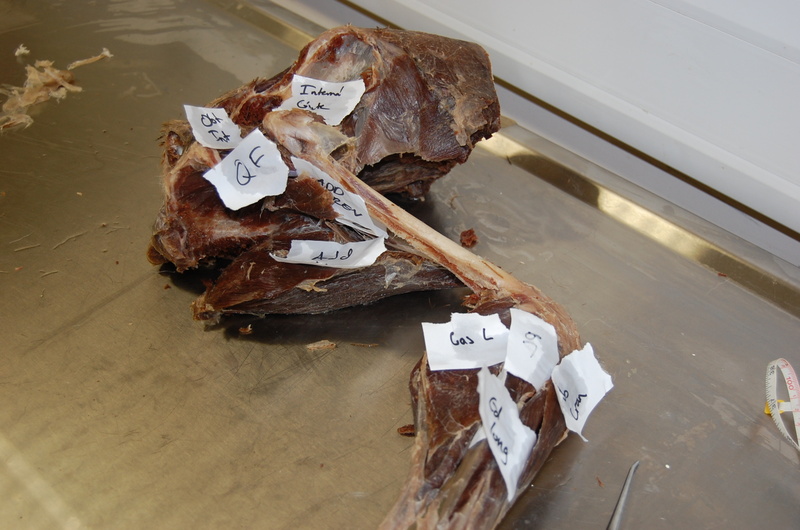 Definitely the blog has succeeded in what I aimed: to present the fun, awesome, curious side of anatomy in all its raw glory, using the freezer as a common theme (although I’ve felt free to deviate from purely freezer-based science when it pleases me). And it has crystallized for me just how important and powerful a single picture of anatomy can be. That is what this post emphasizes- the pictures of the year from this blog. Enjoy the walk down morphology lane. The post even got re-discovered by Reddit (the dreaded repost), leading to another surge. 24,330 views of the blog post so far! But also the “Animal: Inside Out” review did very well here (2,338 views to date), which was quite gratifying because I did a lot of detailed but enjoyable research for that one. It continues to bring people here, long after the NHM exhibit closed (it is now at Chicago’s excellent Museum of Science & Industry), which is quite cool. And the post on WCROC the big Nile crocodile got a fair amount of attention, as well as my posts on our Ichthyostega research and vertebral evolution discoveries, naked dinosaurian ostriches, chicken meat, giraffe anatomy (many pages, but this one is relatively most popular), and then the series I did on the RVC’s Anatomy Museum (first post here). Here are a few thumbnails of the greatest hits from those posts and some others– which do you remember and why? Of course, there were the puzzles and mysteries, too. When I think of those, the image I think of most is this one; one of the first. Remember what it is? I’ll be defrosting some new ways to puzzle you this year. Personally, my post about my brain means a lot to me (and any zombies out there) of course, but also I’m rather keen on my entry on elephant biomechanical models (cheeseburger units! 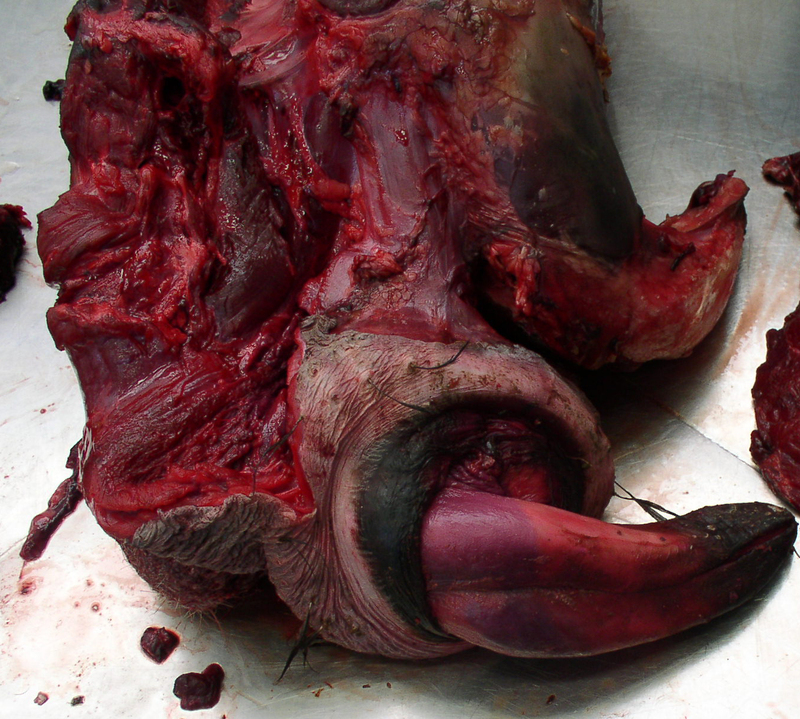 ), and the posts about elephant foot pathologies and the rhino crisis also carried a strong, semi-personal urgency. Furthermore, in terms of effort writing and researching, my very detailed post on chimeras and Jenny Hannivers and such is very memorable for me, and more recently the Freezermas series was a huge undertaking– which gave me needed breaks but also soaked up a lot of time during some intensive grant-writing! I predict that the pangolin post, in particular, will proceed to provoke a promiscuous proportion of people to pass by this blog. But the WIJF blog has always been about including you too, my loyal Freezerinos– what about you? Please thaw out your memories of past posts and comment below on what sticks out as your favourites and why. I’d love to hear about it! Eggs: full of bountiful promise and symbolism for the future. As promised, it will continue for a year or more; as long as I feel I have something new to say and someone to tell it to. The poll convinced me, as I’d hoped, to venture into more reviews of museum/other exhibits that I visit locally or abroad. Now and then I’ll also tackle a new or classic paper, good or bad, that tickles my anatomical fancy, and give my perspective on it. The mysteries and puzzles will continue; I was checking in that poll to see what the enjoyment level was, and it is clearly still reasonably high. I’ll continue presenting my own research here, especially when it’s quite anatomical (stay tuned for something new and VERY exciting in a few weeks!). As I’d hoped, hardly anyone found the self-promotional aspect of this blog (presenting my own research) to need downplaying, but I think over the coming year you’ll see more diversity of what is presented in terms of current research by anyone. I welcome suggestions of cool anatomical science to cover. I will try to cover mostly postcranial anatomy, since other blogs/Facebook pages already do such a good job with cranial morphology, and postcranial is much more my expertise. But generally I will just keep on keepin’ on with what I’ve been doing! 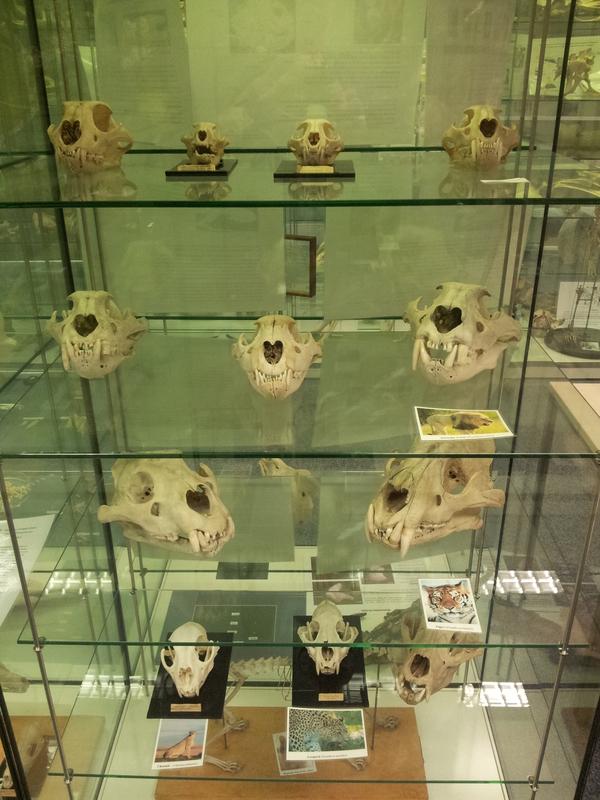 Examples of what’s yet to come: some close encounters with my collection of specimens– the cast of characters that populate my freezers. What exactly is there, and what are the odd things I haven’t yet even mentioned here? 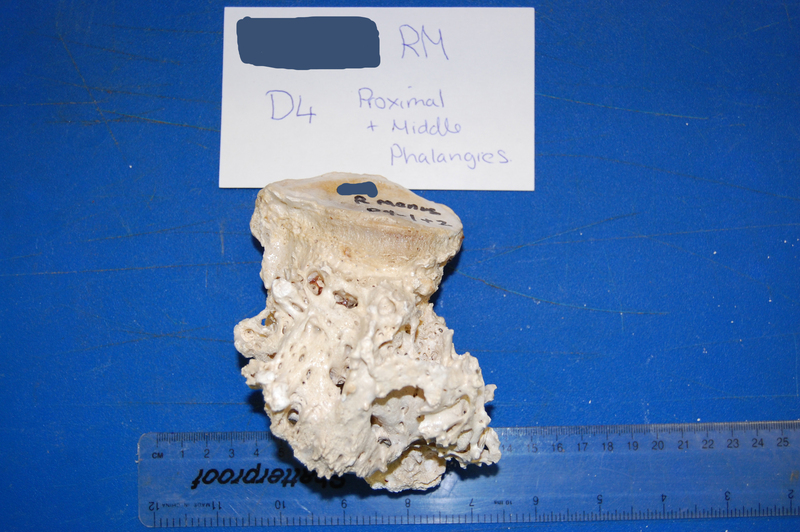 I’ll also just grab some specimens and thaw and dissect them for the purpose of blogging it (live-tweeting too? 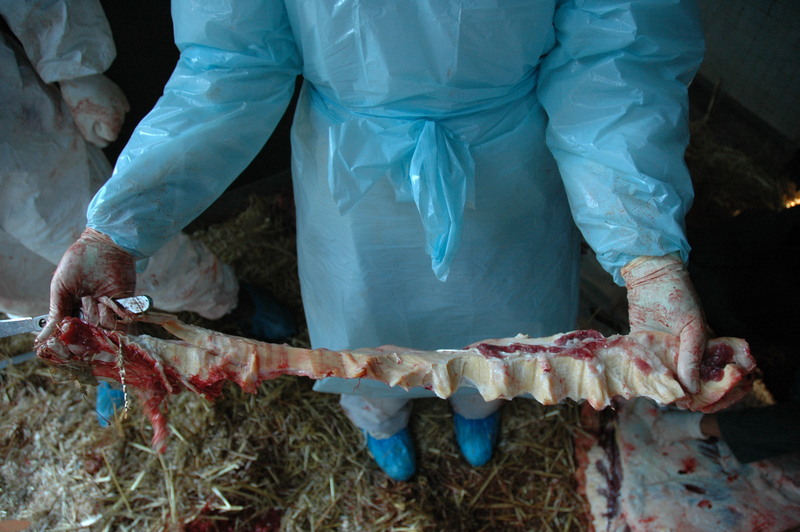 ), and going through some of the anatomical talking points for each. And much more! You may even see Cryogenics, Yetis, or Snowball Earth come up in features touching on the theme of freezerness, general science and critical thinking. But– IMPRESSIVE IMAGERY, again, is what WIJF is truly about. It’s what I’m about, too- I became an anatomist partly because the visually arresting nature of anatomy grabbed me and won’t let go. Thanks, everyone here, for helping to make blogging fun for me and for others, and for enduring my self-indulgence – especially in this post – but I hope you enjoyed a ramble through this past year in my freezers. But first: Frosty feedback time! I want to involve current blog readers in guiding where this blog goes in the future. I renewed the URL for another year, so there will at least be that much more, and probably more than 1 year, since I have plenty of ideas and energy left and am enjoying this. Let’s let the poll do the talking – and you, too! I hope for some discussion- please, your constructive criticism and suggestions! What do you honestly want more/less of, or totally new, within reason? Maybe I haven’t thought of everything I could do. In fact, I’m sure I haven’t. 3 choices at most per user (you don’t have to use all 3), please. And I think the poll will allow new entries (“Other”) to be added (EDIT: Hmm, doesn’t work the way I thought it did. If you do click “Other”, please add a comment below explaining it. Otherwise I don’t know what “other” means… EDIT EDIT– OK, if you’ve read this far, I will find out what you put in the “Other” box (it shows up in my WordPress admin stuff) but it isn’t made publically visible- see here if curious). Go for it! I’ll let the poll run for a week or so. Blog lurkers, please de-lurk! I want to hear from you, too.